Soya (or soy) is used as an ingredient in many processed foods, as it is a healthy and low-cost source of protein and fibre, and it has health benefits too. It is commonly used as a source of extra protein in food in general, as a meat substitute in vegetarian foods, as an alternative to wheat flour in gluten-free food, as a filler in meat products like sausages or minced meat, and as a stabiliser in dairy foods like ice cream. Soya flour is frequently added to wheat flour in bakery foods like bread, biscuits and cakes, and soya oil is often used in cooking. That does make soya hard to avoid in a modern diet. Here are some hints and tips on coping with a soya allergy. In a soya allergy, the immune system believes that the proteins in soya beans are harmful, and sets up a reaction again them, producing high levels of a naturally occurring chemical called histamine. The high levels of histamine trigger the symptoms of an allergic reaction, such as itching and rashes. 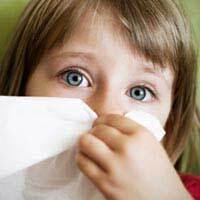 Soya allergies in babies can often go away by the time a child is between two and four. The most common symptoms of soya allergy are an itchy mouth or throat after eating. Some children may develop hives (also known as urticaria – a red, bumpy, itchy rash that looks like nettle stings), runny nose, wheezing and asthma, and nausea and diarrhoea. Anaphylaxis is very rare in soya allergy, but it’s important to know the symptoms (rash all over the body, swelling and trouble breathing,) and to be ready to treat with an epinephrine pen if available and call an ambulance. Some children may develop a soya intolerance. This is not the same as an allergy, and symptoms include nausea, vomiting, diarrhoea and bloating. The key treatment for a soya allergy is avoiding products containing soya. Accidental doses of soya can be treated with antihistamines. Soya is used as an ingredient in many processed foods to add protein or flavour. Be aware that soya may be used as part of another ingredient – for example, an ingredients list may say ‘breadcrumbs’, without mentioning that the bread was made with soya flour. Check the label – since November 2005, food labelling rules mean that any pre-packed food containing soya sold in the UK has to be labelled. Most people with soya allergies are able to eat products with soya lecithin, and many can eat fermented soya products such as soya sauce or tofu – it’s worth discussing this with a doctor, nurse or dietician. Soya oil is commonly used in margarines and in vegetable oil. Refined soya oil contains very low levels of soya protein, so is unlikely to cause an allergic reaction.